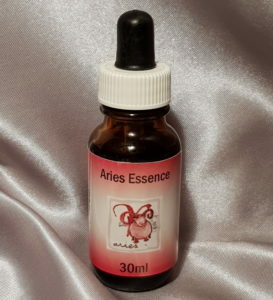 Aries Essence is our first essence in our Star Sign Range. Aries has its basis in the ram’s horns symbolising the assertive, thrusting nature of the sign and its associated ability to meet challenges head-on. Aries the first sign of the Zodiac Aries The Ram (21st March – 20th April)is the sign of action, energy, enthusiasm, anticipation, command and sometimes sheer audacity. Arians always plan ahead and pursue their plans with great determination. This is the sign of leaders and warriors. Arien karma arises from past selfishness and egocentricity. A failure to consider the needs of others, and an insensitivity to their feelings, creates the present-life karmic challenges of leadership without oppression and self-awareness without self-absorption.